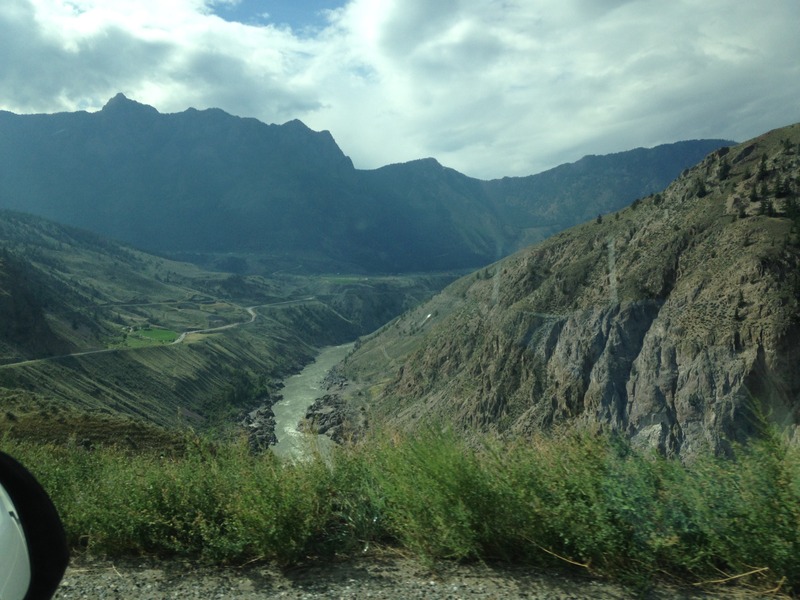 Here’s a new travel journal from Lynn! 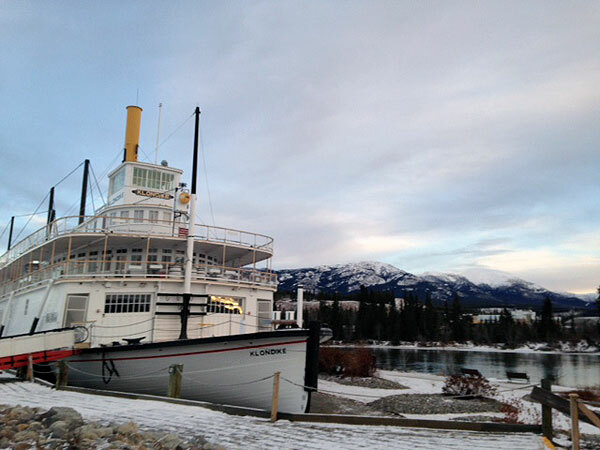 Last month, she took off on an adventure to Whitehorse, in the Yukon Territory. 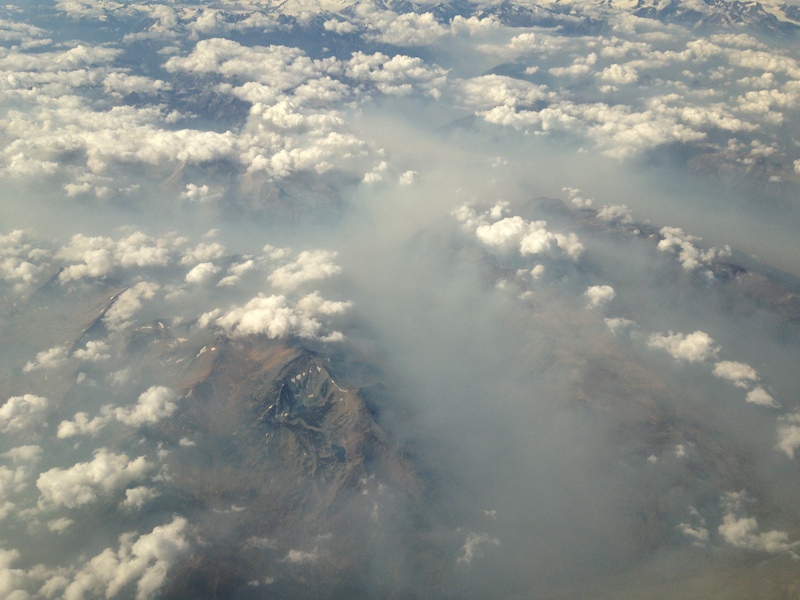 On November 18, I boarded the Air North flight from Vancouver to Whitehorse, YT. It’s a two-hour flight, and if the sky is clear, it’s one of the most spectacular trips in the country. From take-off over the North Shore, you see the Rockies tumble and crest like waves—one massive white-capped peak after another. You see glaciers grinding their way through the rocks and canyons scored by rivers; the silted arteries, which lured gold rush pioneers into the heart of northern British Columbia. Few roads are visible, yet thousands of people travelled inland risking their lives hoping to strike it rich. On horseback, by mule, dogsled, and on foot they explored every inch of this impossible terrain. I prefer to fly! Air North is a surprise in this day of “pack ‘em in, get ‘em off,” bottom line expediency. Not only do you get two cups of coffee, included is a hot sandwich and a fresh, still warm cookie—something the regular commuters always look forward to. Added to this excellent treatment was the assurance that personal belongings left on board would be returned to you. I found this out when my seatmates and I were called to a desk while waiting for our luggage. A book had been found in the seat pocket in front of us and the staff didn’t want it to be lost. How extraordinary. I’d been looking forward to this trip for several weeks. All year, my friend Paul Lucas and his trio had been performing in Northern BC, the NWT, and several places in Alaska. This time, they were working with a wonderful singer and preparing for a concert in Whitehorse, which I wanted to attend. Paul plays jazz guitar and is well known for his talent, his originality and his great sense of humour. Since I’d be spending a good ten days in the city, I thought it would be fun to meet some of the local artists. I asked Paul to connect me with some of the folks there so I could ask about doing a workshop or two. 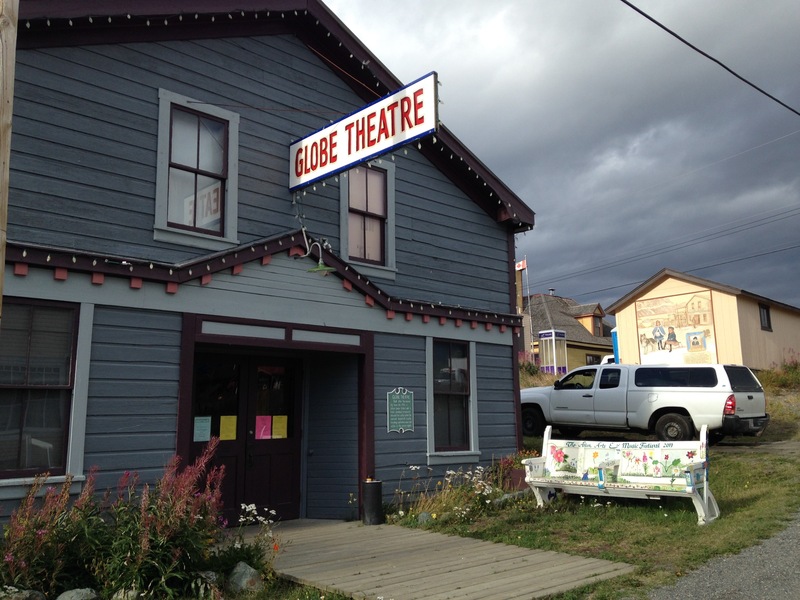 As it turns out, there is a comic art society in Whitehorse (the Yukon Comic Culture Society), and in no time, two workshops, a school talk and a book signing were organized. I was going to be busy! Paul and I set ourselves up in the High Country Inn, the same place William and Kate stayed last summer. The giant carved wooden Mountie at the front entrance makes it easily recognizable. 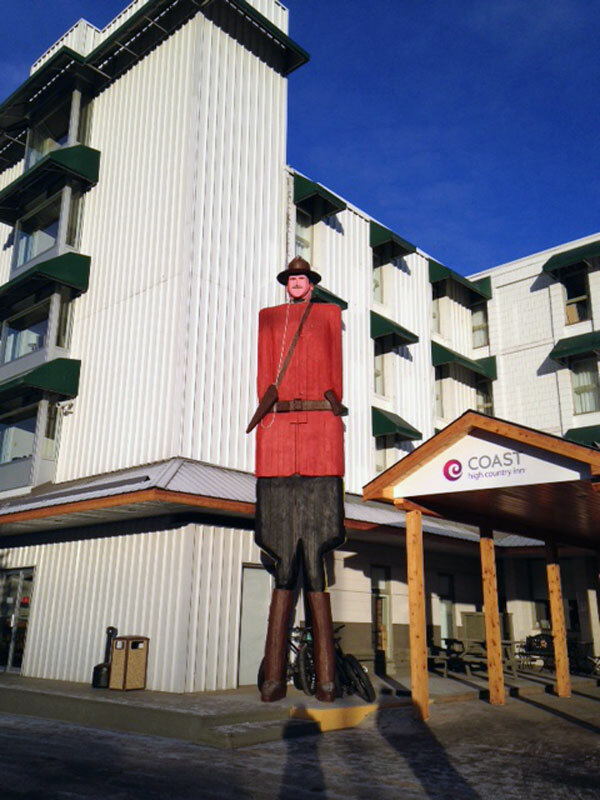 Unlike the statue of David, which has a large head (reported to have been purposefully done in order to give the figure correct proportion when viewed from below), the High Country Mountie has an extremely small head. I thought about this every time I went into the building: the word “High” —perhaps a significant tool in the artists’ method and design. It didn’t take long for me to find my way around. 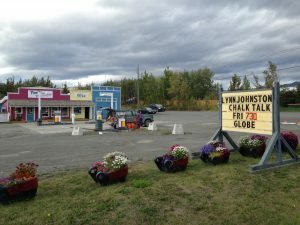 Whitehorse reminded me of North Bay, Ontario and Lynn Lake, Manitoba combined. With its northern location and a neat population of residents, I immediately felt at home. What impressed me most was the level of creativity and the emphasis everywhere on art and culture. Live music, galleries, theatre and dance are encouraged all year ‘round. I was told that there were more kids enrolled in dance than in hockey. Where else in Canada does that happen?! The Christmas craft fairs were in full swing. Coloured lights were being wrapped around trees in the parks, along the streets and everywhere. With fresh snow on the ground, the place was joyously festive and alive. It made me laugh to know that people in the south ask why anyone would want to go to the Yukon in winter. 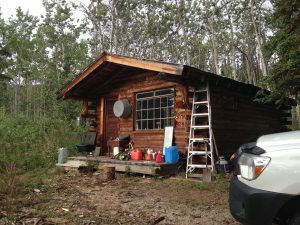 Having lived in small northern towns, I know why people go north and why they stay there. 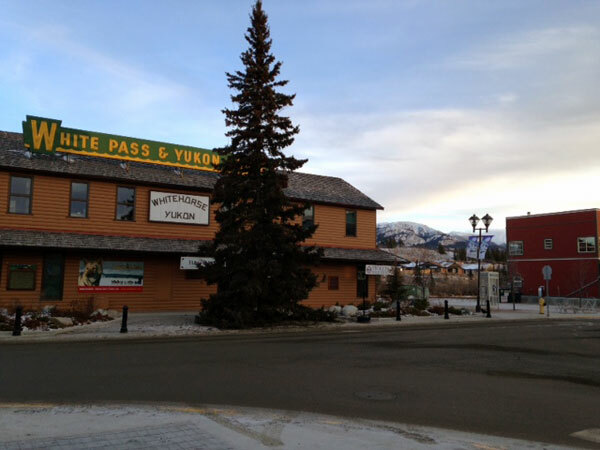 The old Whitehorse train station. 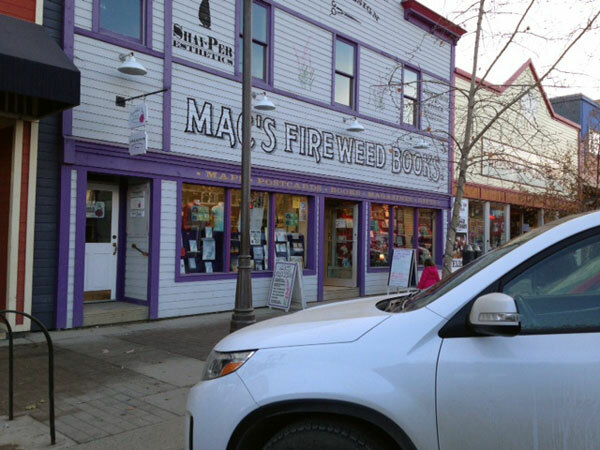 Mac’s Fireweed Books is the city’s delightful independent bookstore. On the 22nd, they hosted a book signing, and for an hour or two, I met and chatted with folks from the area and beyond. One couple was from Los Angeles. They were newlyweds and had decided to go somewhere exciting for their honeymoon. Now, there’s a marriage with a great start! 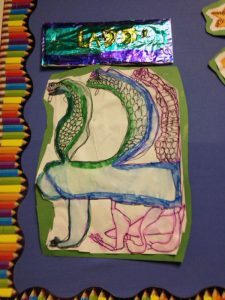 The two workshops were held on the 24th in a central gallery located in the basement of a large sporting goods shop, and appropriately called “Arts Underground.” My first crew of 10 were ages 8 to 11 or so…all of whom had talent and enthusiasm. In the evening, my second class of 10 were all women—all accomplished artists and all welcoming and encouraging. Afterwards, I felt as though I’d known these ladies for much longer than two hours. 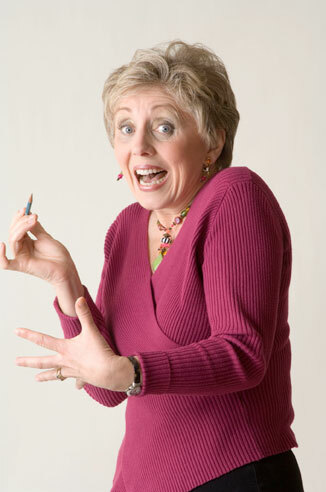 We exchanged phone numbers and addresses, and promised to get together again sometime. Wow! On the 25th, I visited Golden Horn Elementary School. 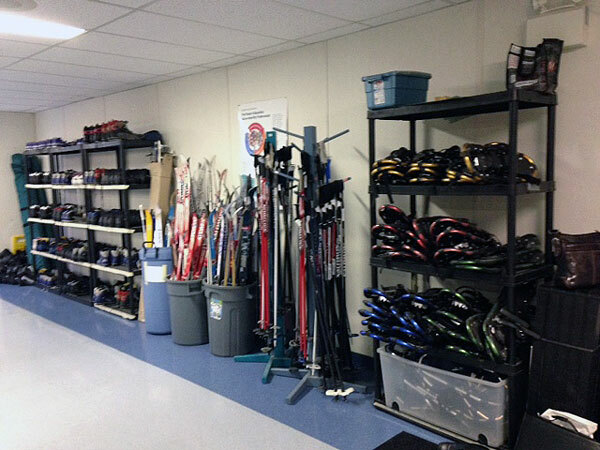 The first thing I noticed were the racks of skis and snowshoes at the entrance; just one of the things which made this school exceptional. Skis and Snowshoes for the kids. 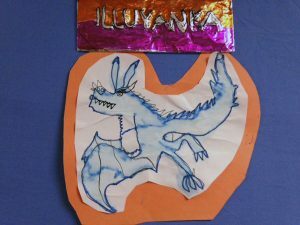 Everywhere I looked, I saw great ideas; drawings of “worry monsters” (the things which occupy your mind when you’re worried), a handmade fishing net filled with paper fish, a tank with salmon eggs waiting to hatch, handwritten original poetry, superb art projects, and so much more. I kept wishing I was a kid again and was a student there. My talk was an hour long and the kids were wonderful. When they aren’t in a rush to leave, you know you’ve hit home! I had brought several small paintings to finish while I was there and I also had a good book. I had little time for these. Paul rehearsed often and then the concert was on! The venue was a spacious private home and it was a sold out crowd. Couches and chairs were set up to face a “stage.” Two tables of munchies and a BYOB bar made this show a great big party. I think there were 55 people there—all ready to enjoy live music and an evening of fun. Brazilian jazz began the first set, followed by some Rhythm and Blues. People were dancing in the halls and the band got several standing (or trying to stand) ovations. What a great way to stage a show: in a private home, with the musicians so close you can touch them! The following day, we had breakfast with friends, packed, and planned our flight home. It’s hard to believe that something I looked forward to and the band rehearsed for for so long, was over so fast. Still, that’s the way it goes with good times; looking forward is almost as exciting as the event itself … and then, you’re looking back! So, here’s to looking forward again, and to all the good times and all the great memories yet to come! Have a happy December. The Klondike, moored in the river. 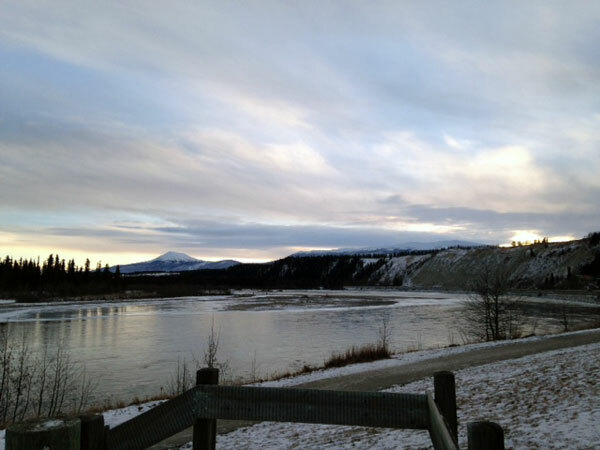 This entry was posted in Letters from Lynn and tagged fireweed, journal, klondike, singing, travel, whitehorse, yukon on December 5, 2016 by fborfwnews.